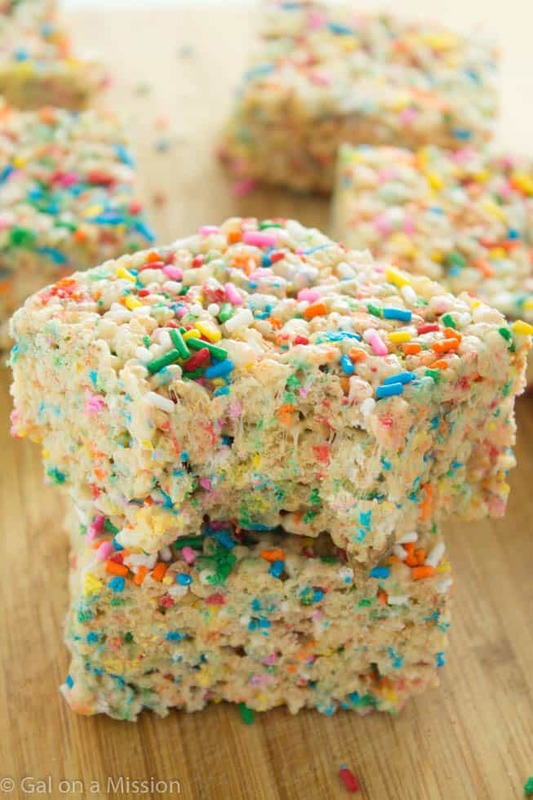 A delicious and basic rice krispy treat recipe that is jam-packed with colorful, funfetti sprinkles. Having one of these will definitely brighten up your day. 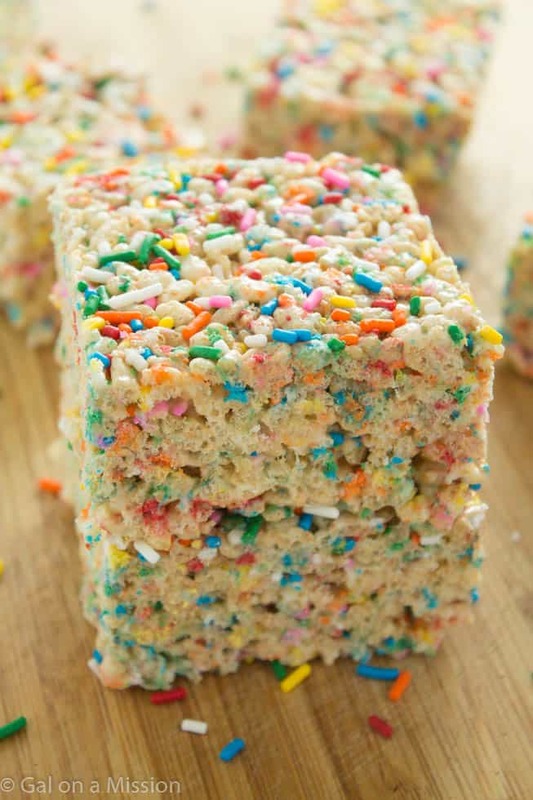 As a child, I always remember snacking on rice krispy treats and always loving them. Most of them just came straight out of the package. Those were always great. 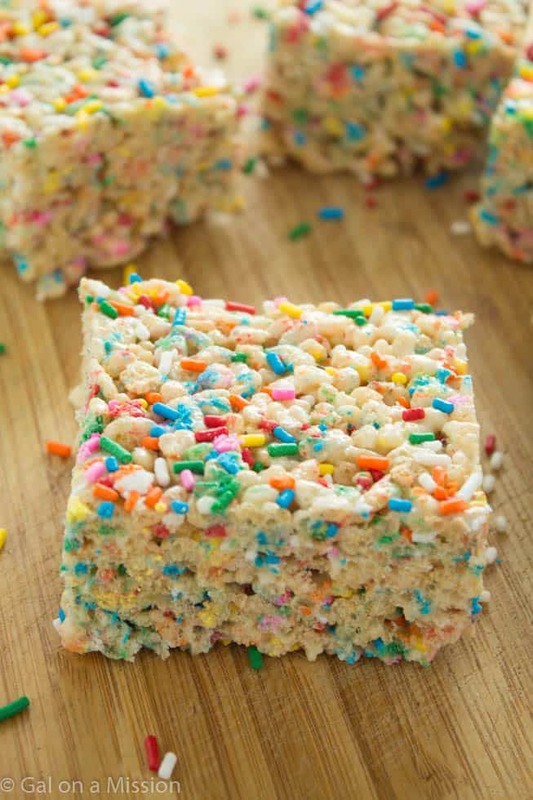 Until I became an adult and started baking and cooking, I thought making rice krispy treats would not be hard at all! I mean, they require absolutely no-baking. How hard could that be? Not hard at all. 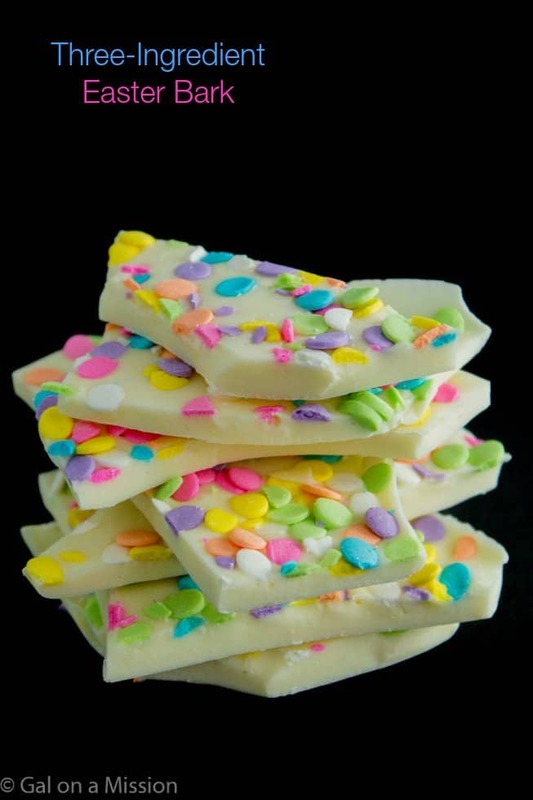 The benefit of also making them homemade is that you can add whatever you would like, for instance, cute and colorful, funfetti sprinkles. Snacking on one these can definitely cheer me up. Anything that has a lot of colors and tastes great always does that to me. Does that happen to you, as well? And I also love these bars. Yummy!! I really need to make another batch of these, with loads of sprinkles, when we go on our mini-trip to celebrate out first anniversary. Not only are they cute, but they definitely travel great. We like to try and pack things, so we don’t have to stop much because I like to just get to my destination and then explore. The quicker we get there, the better. 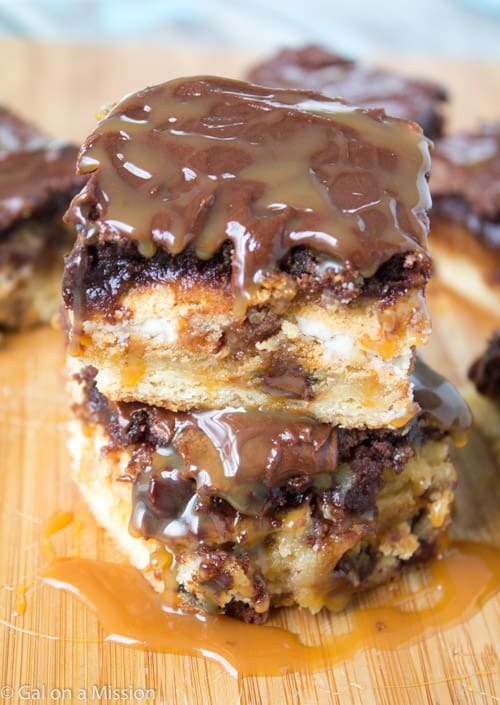 Oh, and more time to munch of these homemade bars. Life is just great. It doesn’t take too many ingredients to whip up these bad boys. 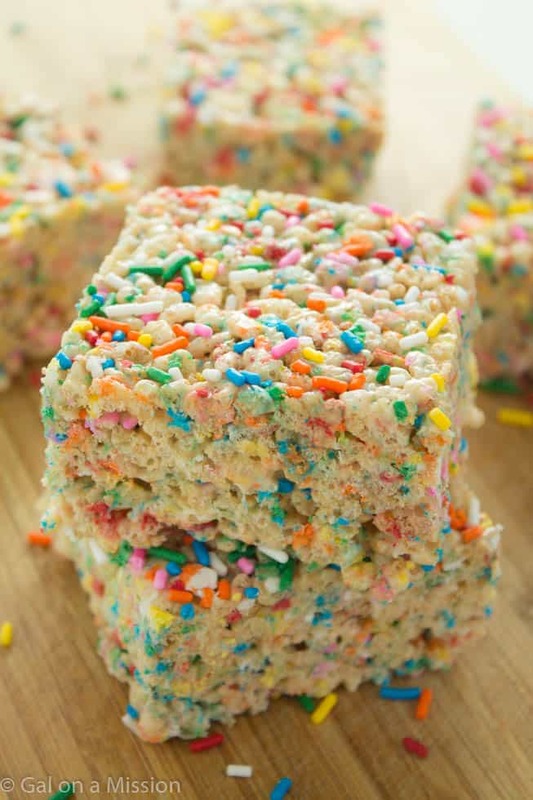 You will need a bag of mini marshmallows, rice krispy cereal, butter, and funfetti sprinkles. Just four-ingredients – woohoo! In a large skillet, combine the butter and marshmallows on medium heat. Keep stiring until the marshmallows are completely melted. In a large mixing bowl, add the rice krispy cereal. When the marsmallows are completely melted, stir that into the cereal. Gently fold in the sprinkles. Spread the mixture into the baking dish and gently pat down - make sure it is even all around. 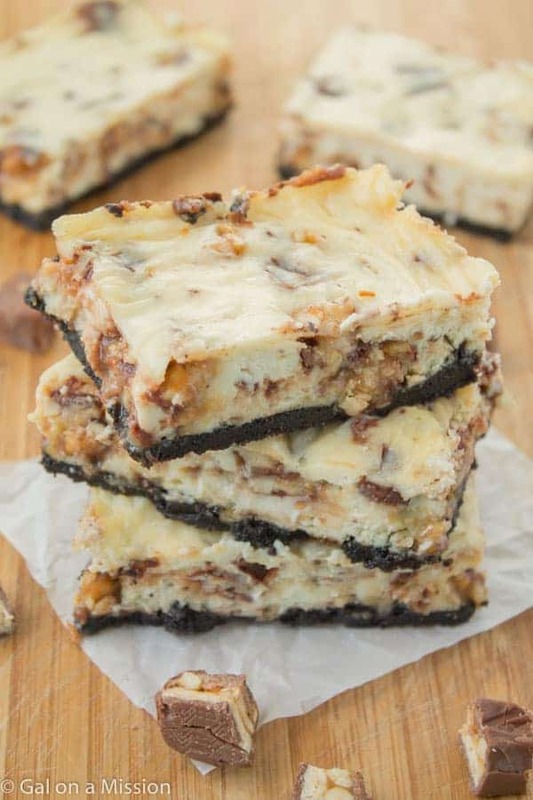 *If you would like thicker bars, you can use a 8x8 baking dish. It will only make 9 bars.